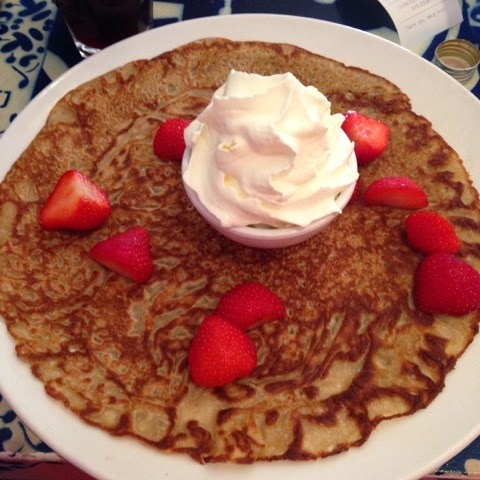 Gluten Free Girl in London! 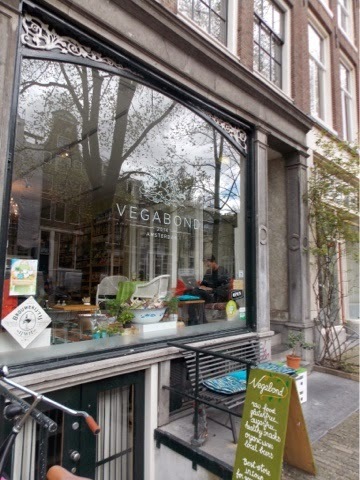 : Glutenvrij Girl in Amsterdam! Gluten Free Girl in London! As always we fully researched GF friendly places, so we were armed with a hit list of suitable dining establishments! However, it soon became apparent that other places would be quite accommodating and the initial "am I gonna starve on holiday panic?" soon subsided! 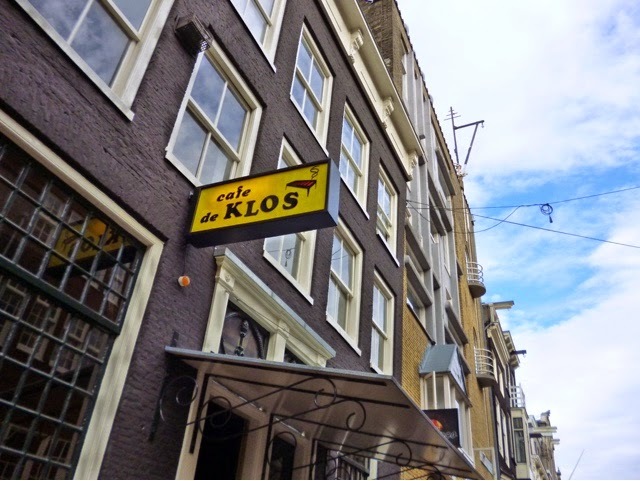 I would like to thank glutenfreeamsterdam.blogspot.nl for providing a helpful and informative blog. I visited a few of the restaurants mentioned on here. I also downloaded the free "Gluten Free Restaurant Card" from the Apple App Store. I seriously can't believe I haven't used this app before, it's a great resource! However, I must admit that the Dutch speak such excellent English my new flashy app was not necessary! 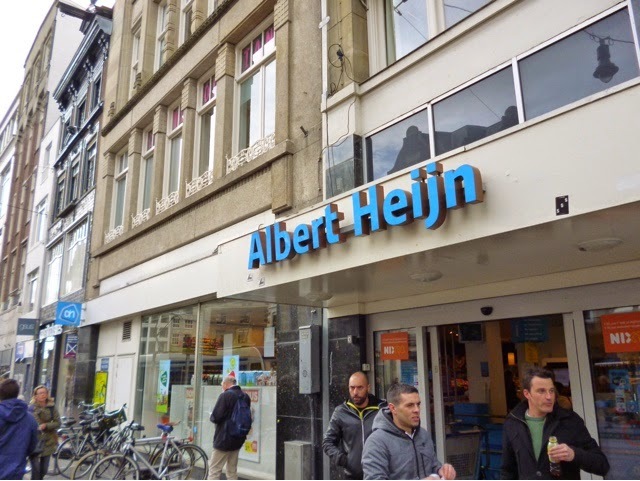 First of all make friends with Albert Heijn! 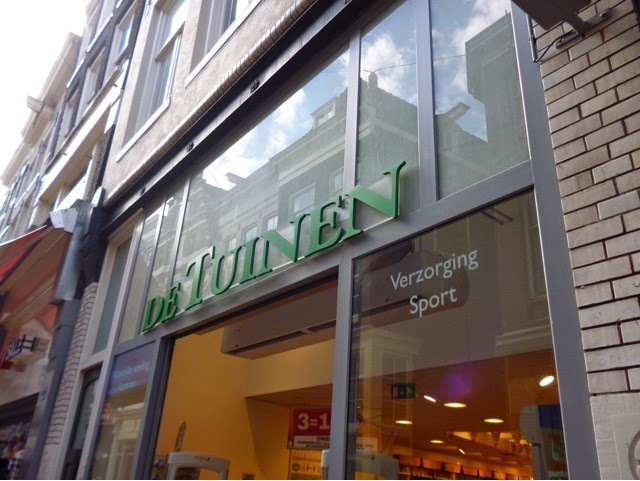 A supermarket chain that is everywhere in Amsterdam.....not a bank as I first thought!?! You will find a small GF section in most branches (bread, crackers, biscuits etc) that may well be a life line for "lunch on the go". 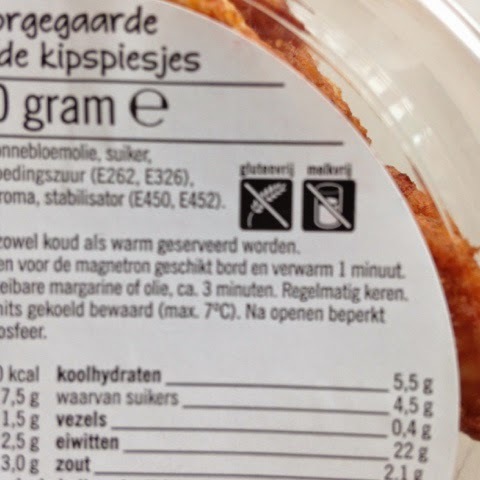 Also, some of their own brand items are clearly marked "glutenvrij" with a cross grain symbol! This was meant I could enjoy my take-away tapas for dinner on my first night without worry! Ps....the seeded crackers are great! Quite hard work to chew but really filling so only ate 2 a day! Great value for money.....I'm a cheap date lol!! Now before you get too excited about my next picture please read my *warning*! BUT on a second visit it became apparent that there are cross contamination issues with the spreads (butter and cream cheese). Thankfully, I wasn't ill but I decided (with a heavy heart) not to eat there again. I guess it depends how you stand on cross contamination but it's worth bearing in mind before you get too carried away with the lovely looking bagel! I enjoyed every bit and was suitably (and naively!) oblivious to how it was made!! *TIME OUT!*...... 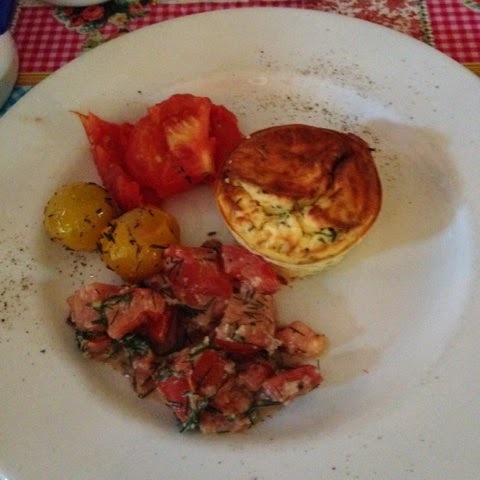 While I am travelling it often dawns on me how neurotic you can become about eating out. Of course I don't want to get ill, of course I don't want to cause long term and irrepairable damage to my gut but I also don't want to live the rest of my life in the 4 walls of my anti gluten flat! 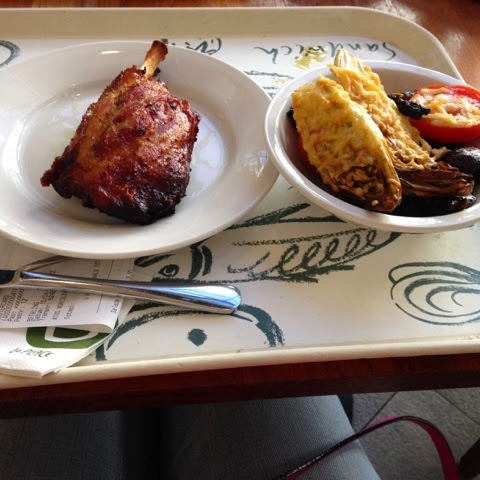 Eating out, where food is prepared out of my sight, is always going to pose some sort of risk. Dale regularly tears his hair out as I umm and ahh about what might cause least cross contamination risk on the menu but let's face it, unless I'm going to prepare it myself.........you get the gist?! Anyway, ramblings over .....and.....breathe......on with the show! 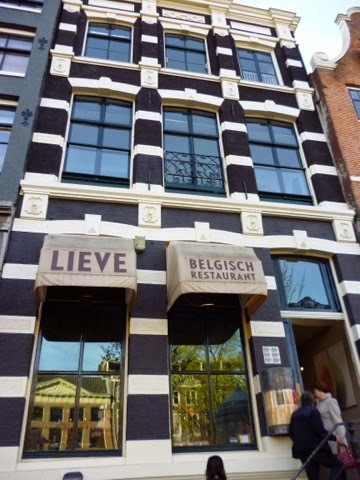 Lieve Belgisch (www.restaurantlieve.nl) is an interesting little restaurant! You immediately get ushered into a little waiting area at the back of the restaurant where a member of staff comes to "explain the menus" to you?! Yep, you have a choice of 3 "dining experiences" (at 3 prices!!). You can opt for the sharing menu (most expensive), the 4 course slightly fancy dining experience and then the Family Feel (chepest!) experience! According to your choice you get a specified menu (all had GF choices!) and your table is set up according to your choice! We opted for the 3 courses for €20, Family Feel ambience! That basically meant we had a wipe clean table cloth with chintzy patterns, kitchen roll for napkins and knives and forks in a jug! I'm being mean....it was actually done very well and to be honest I wasn't really interested in the luxurious purple table cloths and pearl napkin rings of the few who chose to dine in the same restaurant for more money! 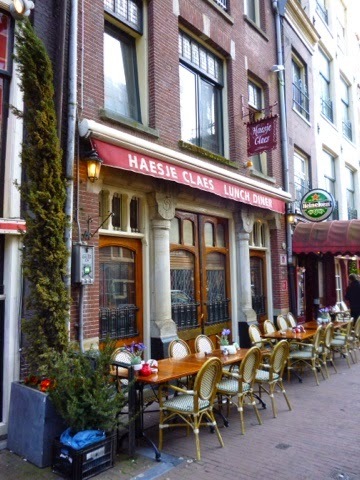 They had a separate GF menu and the food was delicious, great value for €20! Pudding was sorbet...you don't need to see a pic of that do you?! Big thumbs up to this place.....a slightly odd idea but great food at a pretty good price! Not pretty but fairly tasty! 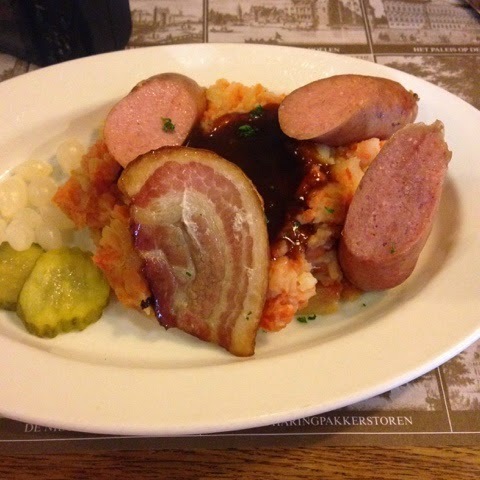 Pickles, smoked sausage, bacon and mash with carrots and swede. Not sure I will be rushing to eat this on a regular basis but I enjoyed it! Dale ordered the original gluten version and his came with a meatball too! Oh well, I was happy with my meatball-less dish! Excuse the shifty looking tourist in the picture, it's Dale! It's a bit like Where's Wally isn't it?! 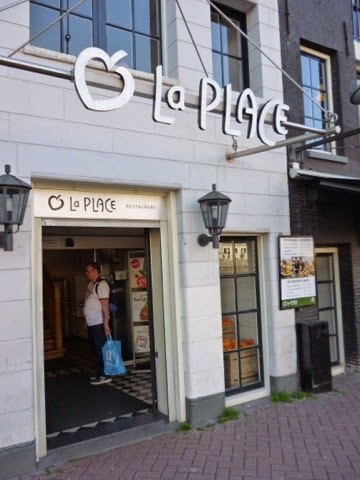 La Place are a chain dotted about and there is also one at Schipol airport which is worth knowing. Designed in a cafeteria kinda way, you take your tray to different stations and they food is cooked in front of you while you wait. 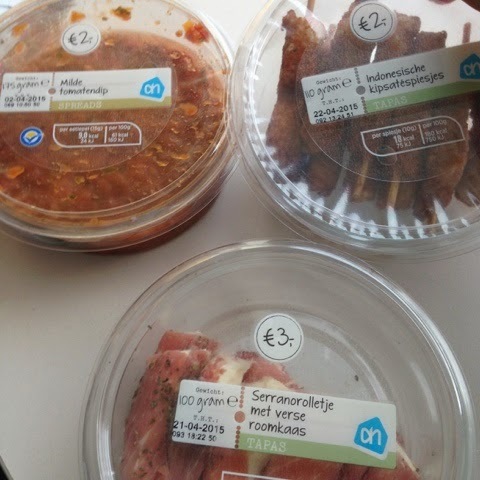 Food is generally labelled quite well and even though things like pizza and stir fries are out of the question, the steaks, chicken, soups, fruit salads and smoothies are all good. A lot of the salads are GF too, I just made sure I chose ones far away from the pasta /cous cous dishes! Glazed ham on with chicory, tomatoes and mushrooms. I also sampled a few of the smoothies for breakfast! Worth a visit as it's quite quick and handy if you're out and about! This place came recommended by some friends. It's quite small and very popular! We arrived at 6.00 and had to go on a waiting list for half an hour! Never fear though as they send you to the pub over the road to wait! ....I've never seen so much meat in all my life! This certainly isn't the place for veggies! Apparently, you can ask for a "ladies portion" (smaller!!) but it seems this is a hidden secret as it is not mentioned on the menu! Nevertheless, I made a fair attempt before admitting defeat! 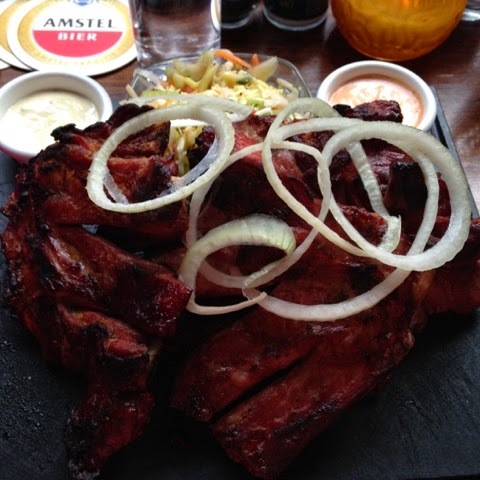 Great ribs, very tasty but I'm not in any great rush for ribs again soon! Carnivorous Dale was very, very happy! I noticed a couple of other places while we were out walking but didn't get to visit them, however, I thought they were worth a mention! If you can find the Esprit clothes shop they have a cafe attached. The menu outside had several items marked as GF and I noticed they used Rebel Kitchen mylk if you're dairy free! A great little shop, had quite a large GF section with some brands I find difficult to get at home! Just wished I discovered it earlier on in the holiday! Very much like Holland and Barrett with a pretty good GF section! I was excited to see GF stroopwafel but was restrained enough not to purchase! 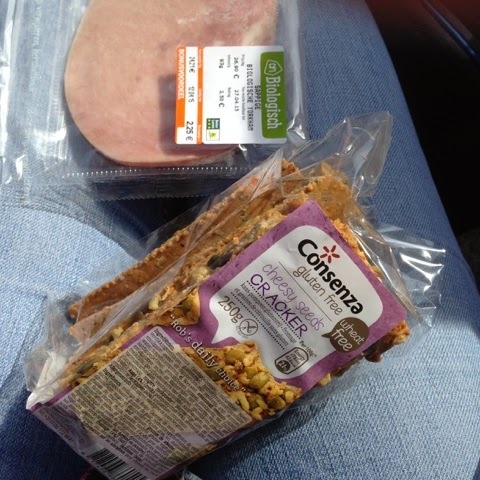 Well, as you can see I didn't go hungry, I didn't even have a girly meltdown in the middle of the street (as has become the norm on recent hols when tired and hungry!!) 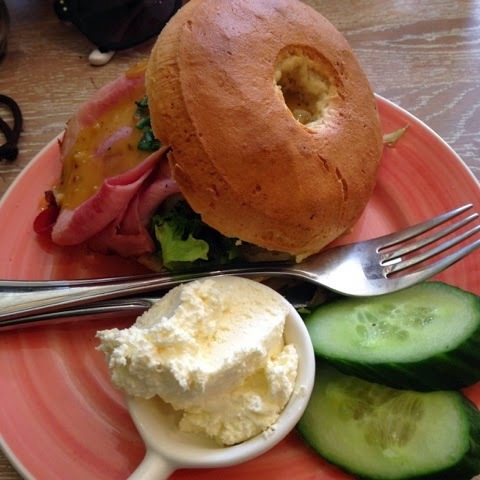 I ate well and the Dutch get a massive GF thumbs up! 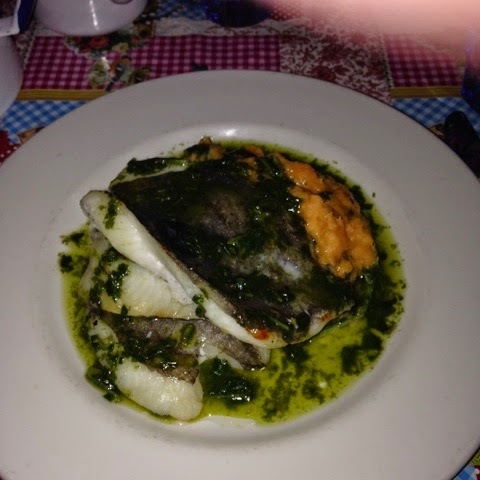 We had a great time and can't wait to go back.....surely that's the best review! ?